We have added x02 photos from the Forbes photoshoot, also check out this wonderful interview with Blake, she talks all about Preserve and how it has always been a dream of hers. Beautiful, inspirational interview. Blake Lively only announced her pregnancy last week, but it seems she is already providing plenty of fashion inspiration for other mothers-to-be. The $148 top and $178 skirt she wore to share her happy news with the world have both already sold out, the couple behind Sam & Lavi, Sam Arasteh and Lavi Mirzak, told MailOnline. And it looks like we can expect to see the actress in other items from the label too: Mr Arasteh and Ms Mirzak say the 27-year-old ‘owns many pieces’ – and as it is not a maternity label, she will likely wear them after her baby is born too. Ms Lively, who has insisted in the past that she does not have a stylist, discovered Sam & Lavi of her own accord, the couple revealed. ‘Since then, [she has] developed a fondness for our brand,’ they said. And the star is not the only celebrity fan to have worn Sam & Lavi. Jessica Alba has been seen in the Evelyne skirt, fleece Ayla top and Lacie pants in the past month alone, Olivia Munn has worn the Aqua shorts and Alessandra Ambrosio has been seen in the Elizabeth top and Lesley dress. Ms Mirzak is the design talent behind the print-focused line, while Mr Arasteh is the business brains. The actress’s due date was not shared with readers, but it has been speculated that she may be five or six months along already. We have created an album for Preserve.us Promotional Photos and added x3 new abstract shots of Blake (and Ryan) cute! Plus an outtake from a 2009 photoshoot with Michael Thompson for Allure magazine. Blake Lively launched her foray into the online world of cool on Monday promising to be a younger more hip – and slightly less expensive – version of the fellow actress’s long running site Goop. The 26-year-old’s part blog – part store also ended up with a slightly gloopy name, specifically the jelly-inspired title Preserve. The Gossip Girl star has previously avoided calling the site a lifestyle one, but just like Gwyneth’s, Blake’s offers a host of stories about cool clothes, places, foods and fashion scenes. Cue videos of artsy snippets, stories on tattooed men and organic health remedies and, of course, a store which sells everything from spoons to clothing and hot sauces to lighting options. 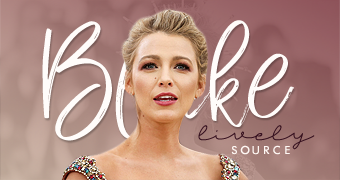 The actress has been speaking of the project for months and now it is finally here, Blake was at pains to point out that she is not being a star trying to show people how to live like her, but merely pointing out how people live already. As the name suggests, while using the modern medium of the internet, she wants her page to harken back to the small batch jam making times of yesteryear including things like preserving and promoting underground designers and produce. Confused? Well that’s alright, so is Blake. The 26-year-old wife of Ryan Reynolds happily admits in her first Editor’s Letter that this is something of a learning curve for her. She writes: ‘Sitting down to write this editor’s letter has been the hardest thing I’ve done yet on my Preserve journey. ‘I’m more intimidated than I should probably admit. I’m no editor, no artisan, no expert. And certainly no arbiter of what you should buy, wear, or eat. ‘I am hungry, though… not just for enchiladas. I’m hungry for experience. The function of Preserve is part magazine, part e-commerce hub, part philanthropic endeavour and – above all – a place to showcase the power of imagination, ingenuity, quality, and (simply put) people. 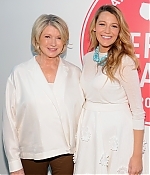 However, now that they both have lifestyle sites, don’t expect Blake to start a war with Gwyneth. 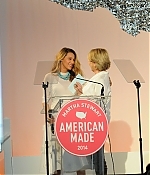 The Gossip Girl star recently name dropped her fellow online retail blogger, telling Vogue she is always in both the actress’s and Martha Stewart’s corner.